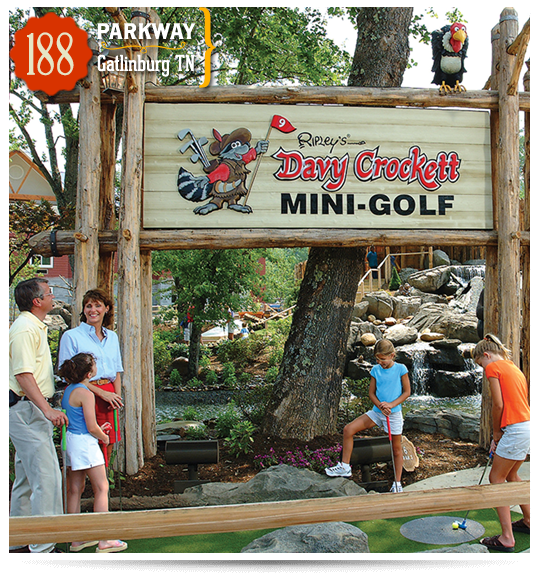 With the Great Smoky Mountains as the backdrop, this fun-themed course replicates the “old days” when a Tennessee hero named Davy Crockett roamed “them thar hills”. 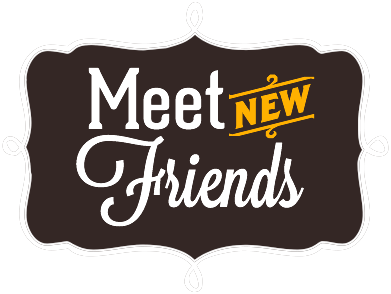 Family and friends will enjoy spending a day with Ripley’s. 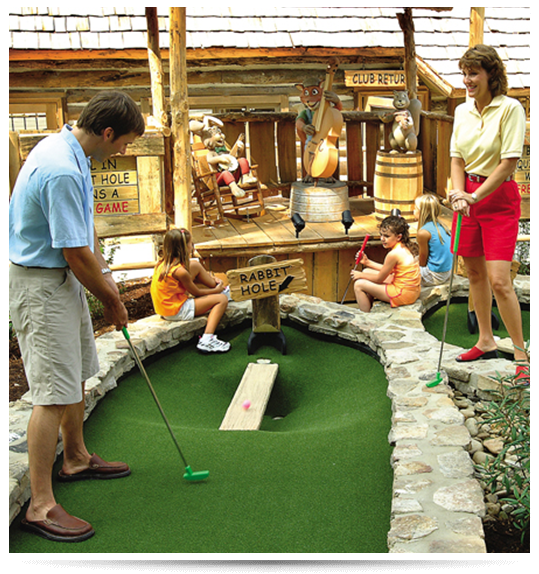 Want to visit all of our Tennessee attractions 365 days a year? 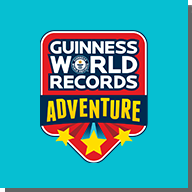 Get the Ripley’s Ultimate Fun Pass, today! 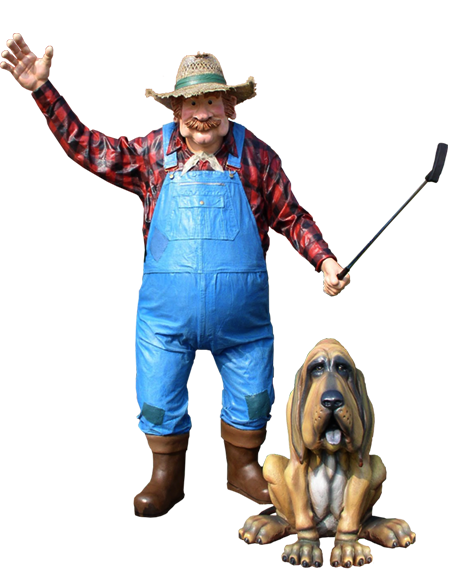 Annual Pass Must be Redeemed at Guest Services at Ripley’s Aquarium of the Smokies. 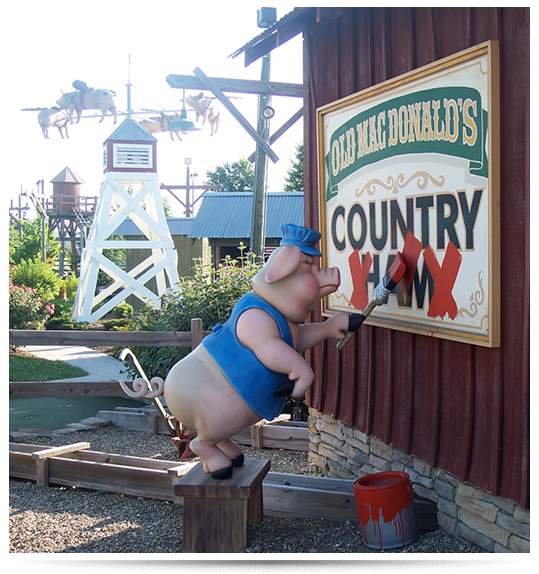 With 54 holes of “down on the farm” family fun, this mini-golf course features animated barnyard characters, water features, and interactive elements at every turn. 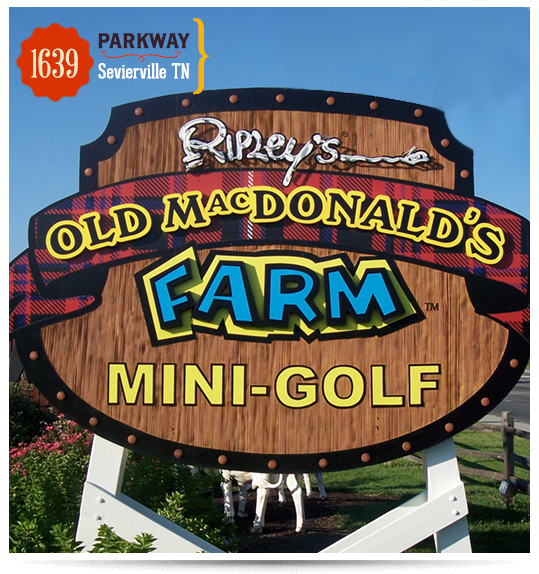 We’re just outside of Gatlinburg, in nearby Sevierville.